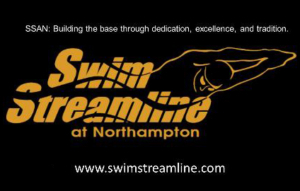 Northampton Cudas is a member of the Northwest Aquatic League. The Cudas is a summer recreational team open to all residents who have paid their user fee, children aged 18 and under. Residents must pay the annual user fee. Non-residents pay $100 for the first swimmer and $25 for each additional swimmer. The team practices begin mid-May, with meets held Saturdays at the Northcrest Pool or at neighboring pools. The swim season and competition continues until mid-July. 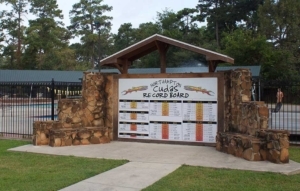 The Cudas offers competitive team swimming, team spirit, sportsmanship, team parties, and fun to its swimmers. For more information about this spirit-filled organization, please visit their website: Northampton Cudas. Swim Streamline offers numerous opportunities to learn and improve as swimmers, while allowing the ability to pursue other interests. This year round competitive swimming program offers high quality, professional, ASCA and USA certified coaching and technique instruction in a smaller team, attention focused environment. Swim Streamline provides every swimmer an opportunity to improve their swimming skills and achieve success at their level of ability from novice to international competitor. SSAN has a continued focus of Building the Base through dedication, excellence, and tradition. 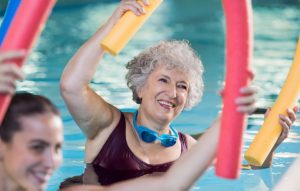 Aquatic Exercise classes are offered at the Northcrest Pool under the direction of a qualified instructor. This exercise is perfect for any age, any fitness level, non-swimmers, and even persons overweight. With a doctor’s approval, it can be the best way to exercise while rehabilitating from an injury or surgery. Persons with mild forms of arthritis can also benefit greatly from this program. All classes are in the shallow end. Classes are M-W-F morning and Tuesday-Thursday evenings. Equipment needed is a “fun noodle” and water barbells. For more information reach out to Theresa Thornhill via the button below.